Every two or three years, organisations are having to make some type of major strategic or structural change to their business, typically in response to a changing business environment. So as a manager you need to learn how to manage change. Quite apart from the major strategic changes that organisations must implement, there are also more regular changes that are introduced when enhancements are made to internal systems, work processes and procedures. So coming to grips with the dynamics of change is essential if you are going to be effective in any type of leadership role. Change is usually driven by the objective of seeking to improve things – whether it be improvement to profitability, productivity, efficiency, product quality or service delivery. However whether the improvement is actually realised depends not only upon the soundness of the change concept itself, but also upon the quality of its implementation. How do employees tend to react to change? Well, much depends upon how they perceive that it will affect them and their understanding of why the change is happening. If change is perceived negatively, then it can create anxiety, insecurity, frustration or anger – which can lead to your employees resisting the change and failing to lend support to the change initiative. Resistance could be displayed by staff becoming withdrawn, or critical or de-motivated – or more extreme forms of resistance could even be attempts at subtle sabotage of the change. 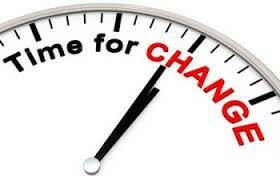 When you are planning how to manage change, you need to think as much about the change process as you do the outcome. During the period of transition, there will be disruption caused to both customers and employees and you need to anticipate this in order to mitigate the disruptive effects as far as possible. One of the keys that will determine the success of the change project will be how well you have communicated with stakeholders throughout the process. What can you do to engage your staff in the change process? Here are some things to consider …. Seek input from staff about how the change can best be implemented. Although the change outcome may be a given, the way in which it is achieved can be open to some consultation, so create opportunities for staff feedback and involvement in the planning process. Working with your staff (or some of them at least), create a project implementation plan for the change, that has milestones and time-lines to it. Plan for the provision of training. One of the common causes of staff resistance to change can be a fear of the unknown and the anxiety an employee feels about whether they will be able to cope. So ensure there will be staff training available for the new system, product or process. Review the outcome. Is the change delivering the benefits that were envisaged? How are you going to ensure the “stickiness” of the change and anchor it? What have been the lessons learned for next time? Staff can become disillusioned if they think that what they have given up was not worth what they gained. So make sure that you promote the benefits that were achieved through the change. Also recognise that some staff will adapt more readily than others to change – so think about whether these could be used as mentors for staff who have lagged behind a bit. The following short video clip offers a great overview of the highly regarded Kotter eight step model for planning an effective change management process. John Kotter is a Professor at the Harvard Business School and a respected thought leader in this field. .